Uncork the bottle of wine. 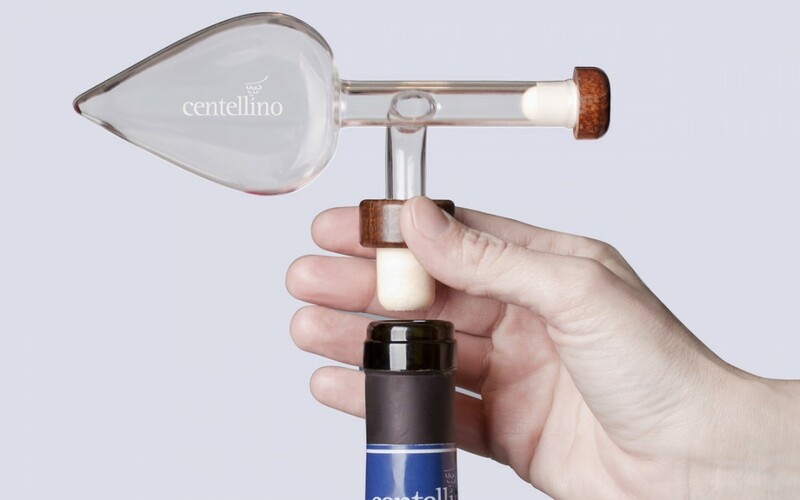 Carefully hold the “CENTELLINO”, by the wood of the larger stopper. Insert by pressing on the wood stopper, not on the glass. Once inserted, hold only the bottle for the rest of the steps.